Experienced England bowler Jenny Gunn is eagerly anticipating facing South Africa on Friday as the sides battle to get closer to securing a semi-final spot. Jenny Gunn is eyeing her first action of the ICC Women's World T20 against South Africa on Friday night as her side aim to take a big step towards qualification for the semi-finals. All-rounder Gunn was left out of Monday's seven-wicket win over Bangladesh in Gros Islet as England handed debuts to Linsey Smith, Kirstie Gordon and Sophia Dunkley. England are on three points from two games following a washout against Sri Lanka first up and a win over the Proteas would leave Heather Knight's team handily placed for progression ahead of their final group game against hosts and holders Windies on Sunday evening. 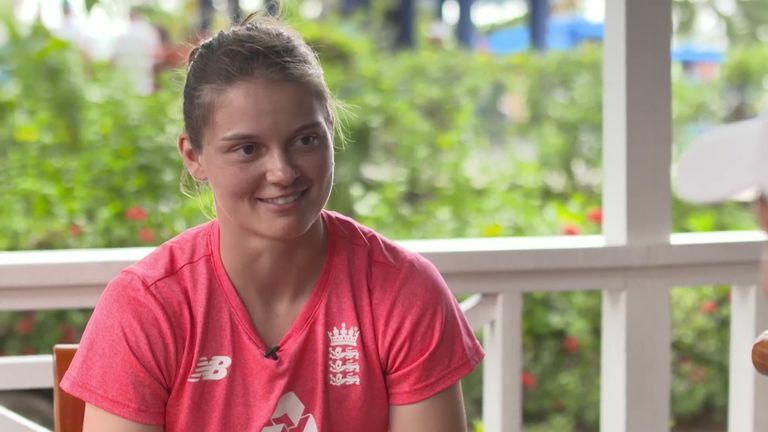 "I want to play - I don't just want to come here and run drinks," Gunn, who has made 104 T20I appearances for England, told Sky Sports Cricket. "We are always fighting for places but no matter what happens I will be supporting the team. "Everyone has played their part to get here and we are fighting for that final and want to take [the trophy] home. "The mood in the camp is good - it's stopped raining and we are just happy to get outside! We are looking forward to the next game and hopefully getting another win under our belt." 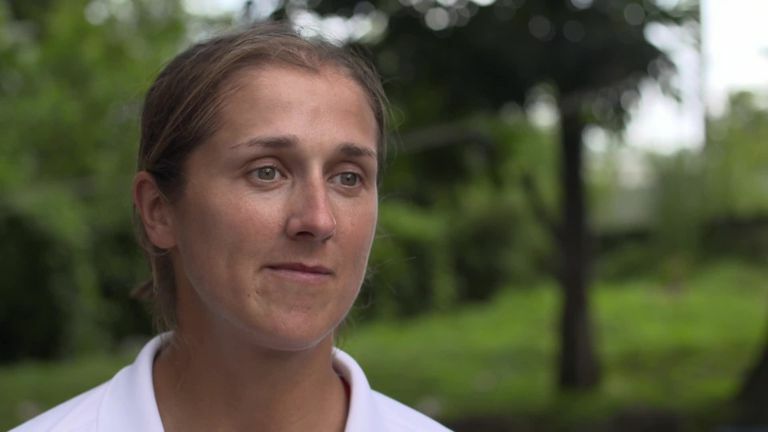 Gunn, at 32, is the most senior player in the England squad with seamer Katherine Brunt missing the tournament with a back injury and wicketkeeper Sarah Taylor rested as she continues to manage her anxiety condition. "Even when [Brunt and Taylor] are here I feel responsibility as they don't act their age!" said Gunn, who has bagged 75 T20I wickets at an average of 19.82. 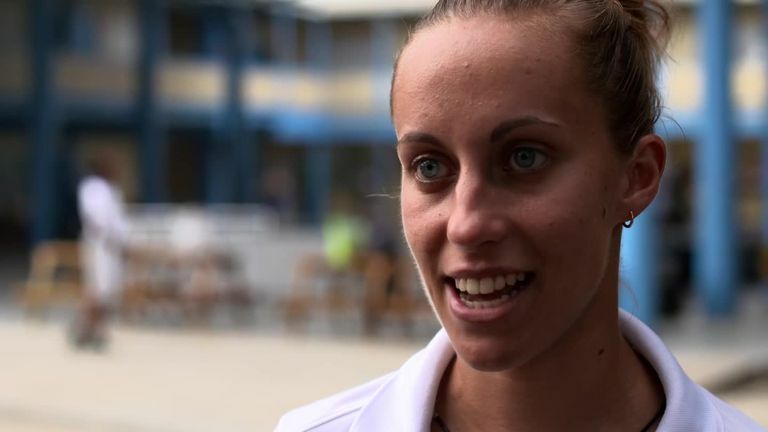 "Hopefully the team look up to me - they say 'mother' but hopefully it's a big sister. Hopefully I can pass on some of my experience, without saying I'm old!" South Africa were bundled out for 76 by Windies on Wednesday night but Gunn is aware of the threat posed by powerful Proteas opener Lizelle Lee, who thumped 117 against England in an ODI at Hove in June this year. "Lizelle can hit you out of the park so you have to be on your game," added Gunn. "It's a challenge and that's why you play cricket. To be the best in the world you have got to bowl well against these batters." Watch every match of the Women's World T20 live on Sky Sports Cricket throughout November - England's game with South Africa is on air from 7.30pm on Friday on Sky Sports Cricket and Sky Sports Main Event.